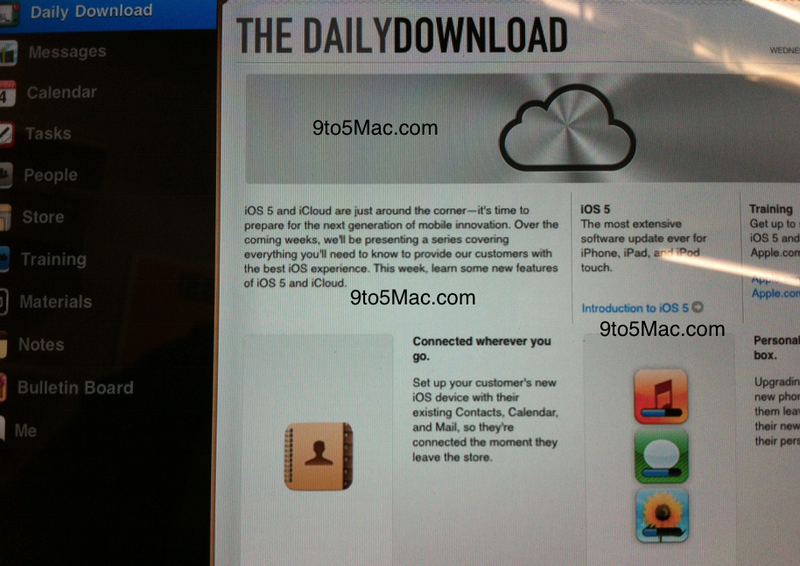 9to5Mac (click link to read) is reporting that the staff training for iCloud and iOS 5 may just be around the corner following shots from an internal RetailMe application used by staff. As 9to5 point out, this time may be different to previous evidence but staff training usually precedes a couple of weeks or so before a release. We will post if we see or hear anything else.